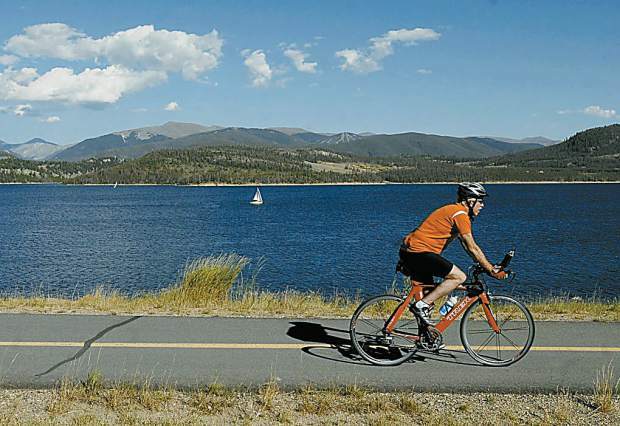 We have around fifty miles of paved bike paths which run throughout Summit County, suitable for advanced bikers to those who want to take a leisurely ride. Our elevations begin at 8,777 feet and climb up to 10,563 feet above sea level. Advanced riders can climb 1,500 feet by taking the thirteen mile ride from the town of Frisco to the top of Vail Pass.